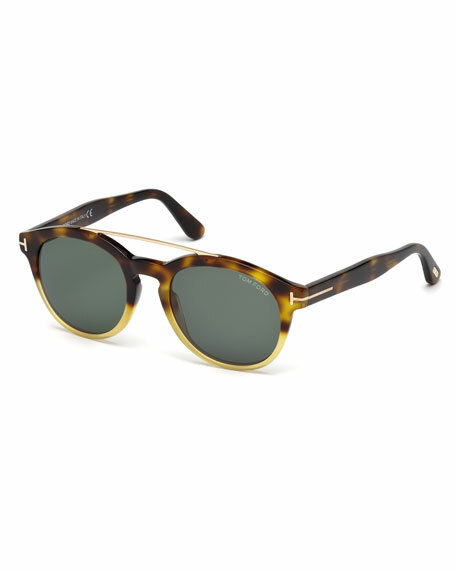 Tom Ford "Newman" round sunglasses. Shiny gradient Havana honey acetate frames. Double brow bar with golden bridge. Signature "T" inset at temples. For in-store inquiries, use sku #2038418.